Some of you may have figured out by now, but I have decided to be vegetarian again. Its a thing, we go on and off, this time it has been a solid 7 months since the “on” cycle. What can I say? I have a commitment issue with lifestyle changes. Anyways, I really love spaghetti and meatballs (it might have something about being Italian America) so of course, I need to have my fill. So what better way than having a vegetarian alternative? Today I am going to share with you one of my favorite variations for meatballs, black bean “meatballs”. This recipe is very easy to make vegan, all you have to do is replace the egg with a flax egg and you are golden! 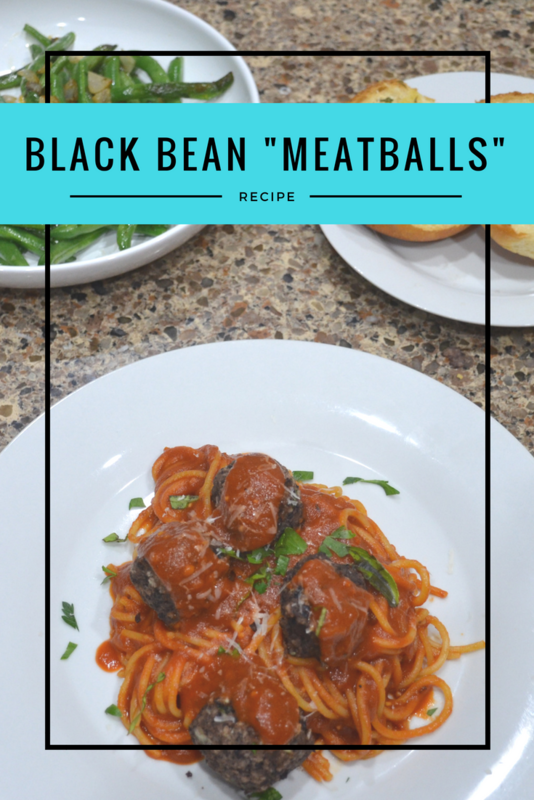 The recipe below shows how to make your black bean “meatballs”. 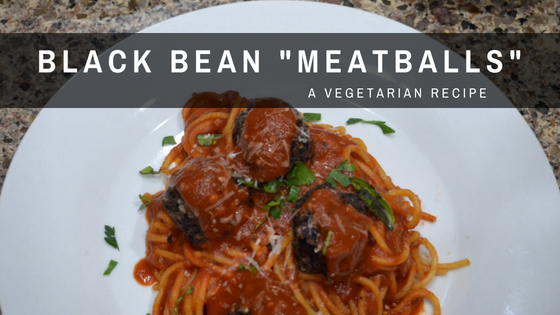 If you want to add them to a pasta dish the I have pictured you can lightly toss your beanballs in a skillet with your marinara sauce after the beanballs have finished baking. In a food processor, process your beans, onion, oregano, parsley, basil, and garlic. Do not make it completely smooth. You want it to be chunky so you have texture. In a large mixing bowl, add your process beans and the remainder of ingredients. Mix thoroughly. Bake for 20-25 minutes, the beanballs should be lightly browned and firm.